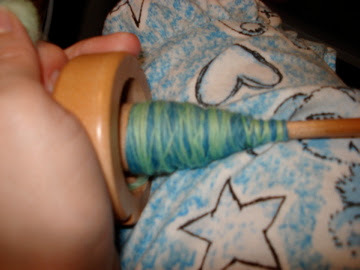 Stitch Therapy: Spinning is FUN. Imagine my surprise this morning to wake up to a nice package from amazon. My book came today!!! I'm so excited about it. Everything is beautiful. 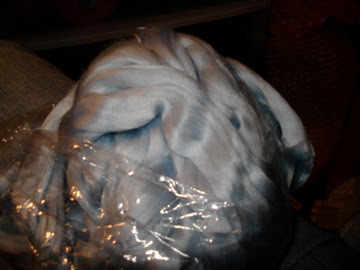 I have till July to decide what I'm going to make first for the knit along. Beautiful stuff! You're much braver than I... I'm afraid I'd love it too much and it would cut into my knitting time. Can't wait to see more! Nice, I love the rose color! 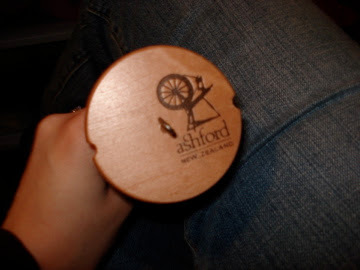 You did an excellent job spinning your fiber! Definitely great lace weight stuff. Have you decided on a shawl? Oh, and I wrote you about yardage on spun stitches. You can pick up a niddy noddy for under $20. 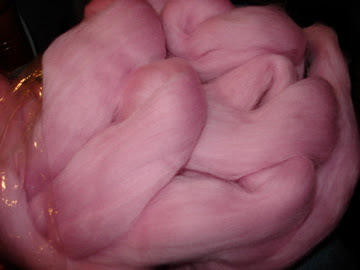 Gorgeous fibers and you are just spinning like a dervish!